Bastille Day or La Fête Nationale as it is known in French, commemorates the beginning of the French Revolution. On the 14th July, 1789, the Bastille prison fortress in Paris was sieged; it was a key moment in France's history, which led to the overthrowing of their monarchy. In Paris, the day is celebrated every year with the largest military parade in Europe, but for the last six years, the French have been bringing the festivities to London. 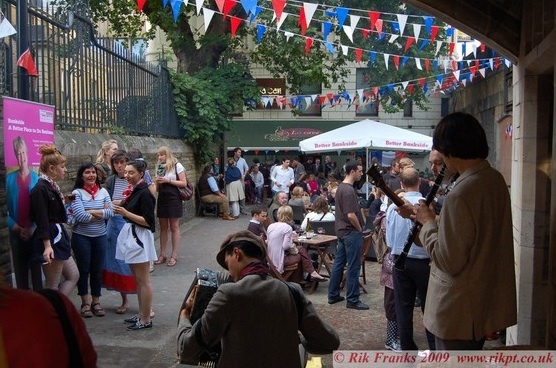 This year, Bastille Day will be celebrated at Borough Market, where you will get to taste fine French cuisine, such as confit de canard rillets by Marche du Quartier, regional pates and terrines from Fitz Fine Foods, and uniquely flavoured cheeses by Beillevaire. As you browse the market stalls, enjoy different styles of French music, including Parisian swing manouche, Marseilles mixes, and accordion players performing popular chansons. Between 12pm-6pm you will be able to enjoy tons of family activities at Jubilee place. Play a game of Pétanque, which is a French version of bowls, watch the Waiters' Race, buy gifts at the craft fair, listen to bilingual storytellers, and take part in creative workshops and party games. There will also be face painting, a gastronomic screening, and special discounts at local attractions. From 6pm-10pm, you can then join in the free Festival Finale Party, which will celebrate the storming of the Bastille with live music, bal DJ, street entertainment, outdoor eating, drinking, dancing and singing. The celebrations are not just on the 14th July. In the run up to the event, The Vinopolis will be holding a number of masterclasses. For £50 on the 11th July, you can learn about cheese and wine matching, while on the 12th July, you can find out all about absinthe, and on the 13th July, you'll get a lesson on wine labelling.